(Below this point is the information in Shopify's help center. 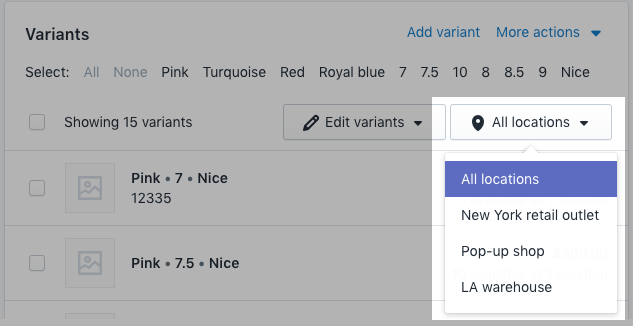 If you currently have only one location in Shopify, or have one location and also use third-party fulfillment services, then no conversion steps are necessary. Skip the steps on this page. You can start adding and using more locations as needed. If you use a third-party fulfillment service for a product, then you can't also stock the product in the locations that you manage. You have multiple retail locations or places where you stock inventory. The maximum number of locations that you can have depends on your plan:Shopify Lite - 3, Basic Shopify - 4, Shopify - 5, Advanced Shopify - 8, Shopify Plus - 20 (Contact Plus Support if you need more than 20 locations). Apps that stock inventory or fulfill orders for you are considered to be locations but don't count towards those limits. For draft orders, the order creation process doesn't change. Products added to a draft order will be assigned to fulfillment locations based on priority and available inventory. The New York flagship location only has 18 products in stock, so an attempt to assign the whole order to the next location in the list will be made: the New York warehouse. The whole order can be fulfilled at this location, so the order is assigned to the New York warehouse. If you use apps that physically stock inventory for you, then they will be treated as locations. Such apps include drop-shipping apps, third-party logistics services, and custom fulfillment services. For example, an app could be a warehouse that fulfills orders on your behalf. Update the inventory at each location:Select the location.Update the inventory quantities for each product. 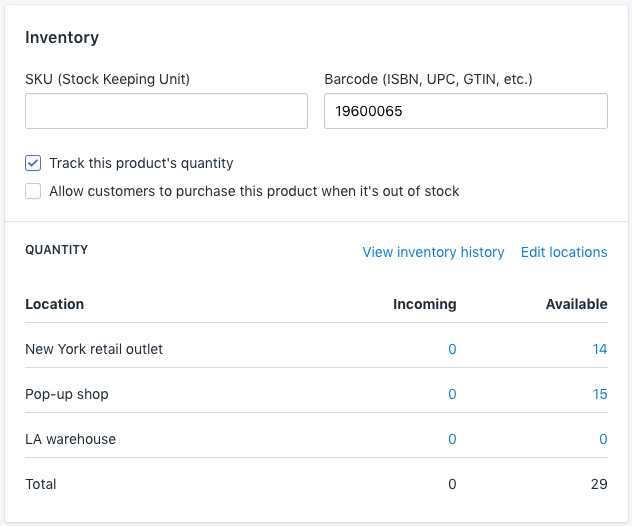 If you don't see your inventory for a product in the list, then either you are not tracking inventory for that product, or the product isn’t stocked at the location.For details, see Assigning inventory to locations.